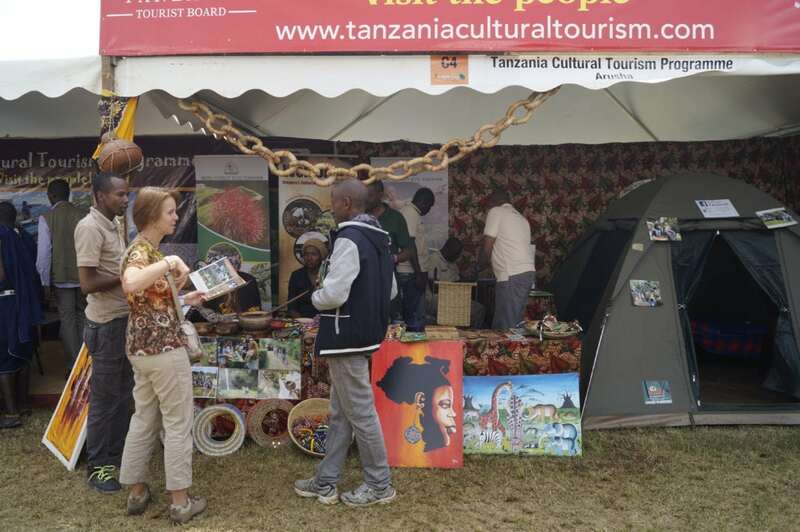 Counted among the new and upcoming tourism exhibition in Africa, the just-ended Kilifair tourism fair that was held in northern Tanzania’s tourist town of Moshi had pulled a magnitude of travel trade executives and tourists on the slopes of Mount Kilimanjaro last week. Kilifair, the premier tourist exhibition was held on the foothills of Mount Kilimanjaro from 1st to 3rdwhere more than 350 tourist and travel trade companies from various parts of the world participated. More than 4,000 visitors including tourists on safari in East Africa visited the exhibition that was counted among the best event in Africa after South Africa’s INDABA tourist fair. Organized by Kilifair Promotion Company and Karibu Fair, the show had attracted various stakeholders including the upcoming safari lodge operators from East Africa and the rest of Africa. Among the key hospitality exhibitors were the Wellworth Hotels, Lodges, Resorts and Camps which had attracted many visitors to observe its services offered to visitors in its properties located inside the Tanzania wildlife parks and the commercial city of Dar es Salaam. The company operates a magnificent Water park on the Indian Ocean beaches in Dar es Salaam. Full with funny and music, the show had as well raised the tourism portfolio in East Africa by its prominence of which attracted participants and hosted buyers from Europe, Asia and the United States. The Kilifair Co-Director, Mr. Dominic Shoo said this year’s show had attracted more exhibitors compared to previous years. The show has been growing with a great need for more investments. Kilifair which had merged with Karibu Fair is the Tanzania’s new generation in tourism and travel trade exhibition portfolio taking place in Moshi on the foothills of Mount Kilimanjaro the Arusha every year. Exhibition takes place every year, drawing a sizeable number of exhibitors, travel trade visitors, buyers and sellers from various corners of Africa, other than visitors from other parts of the world. The show is colored by business networking for the tourism industry, in combination with a community fair and three- day entertainment attracting families and tourism experts. Kilifair exhibition also targets to promote Tanzania and East Africa as key safari destination in Africa, focusing at global tourists visiting northern Tanzania and Mount Kilimanjaro, the premier tourist zone of the East African region. Mount Kilimanjaro is the leading tourist attraction in East Africa and which pull crowds of visitors all the year round. Kilimanjaro region where the mountain stands is the upcoming safari destination with diversified attractions ranging from cultural, historical and nature made up of green, lush and cool weather on the slopes of the mountain. The Kilimanjaro region in northern Tanzania is such an idyllic tourist paradise where tens of thousands of local and foreign holidaymakers flock during Christmas and Easter Holidays to spend their vacations. The region is one among African localities with a long outstanding history and modern lifestyle to attract high-class tourists and other visitors looking to relax and mingle with local communities in real traditional African villages. With Mount Kilimanjaro seen from all corners of this region, tourists could view the gigantic picturesque peaks of both Kibo and Mawenzi; the two peaks are separated by a thick, conserved natural forest. Located on the laps of this highest Mountain in the African continent, villages in Kilimanjaro region are places worth visiting by their diversity of social services and tourist facilities capable of accommodating visitors from all corners of the world with various status. Most attractive is the rich history of the local communities, local African lifestyles blended with modern life, all available in every corner of the region where any tourist could wish to visit. Development of medium-sized and modern tourist hotels and small-sized establishments in villages surrounding Mount Kilimanjaro are new kinds of hotel investments outside the towns, cities, and the wildlife parks.